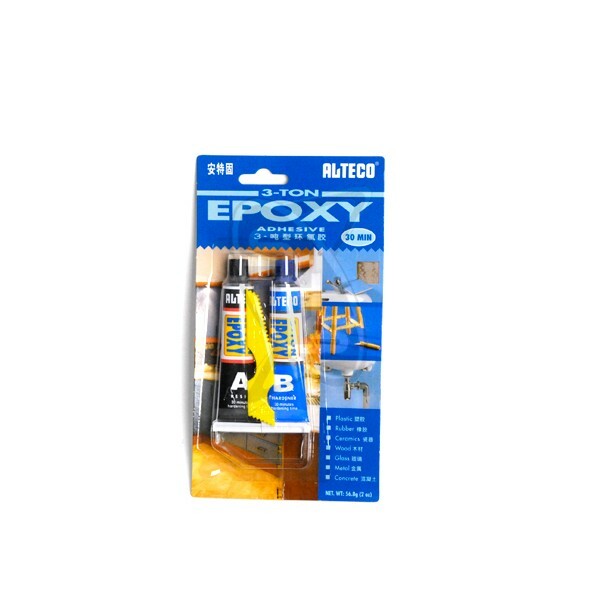 ALTECO 3-Ton Epoxy is the adhesive for households and industries. Suitable for repairs and welds. Sets in 30 minutes at room tempreature. Makes superioir bond strength. bonds to most metal, plastic, rubber, wood, ceramics, glass and concrete. Resistant to acid, alkali, oil, solvent and chemicals. Non-flammable, non-shrinking and waterproof. Makes metalic greyfinish. Can be drilled, filed and grinded.